So running is what got me started on my fitness journey. 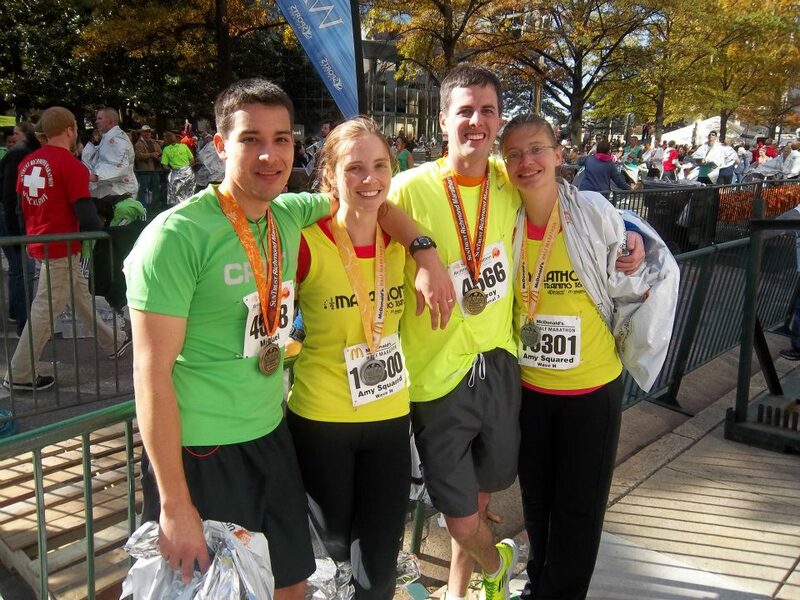 My husband, my friend Amy and her hubby Troy were all runners and they were always after me to join them. I just didn’t really want to. Didn’t have that urge, you know? Then a year ago I realized I wasn’t happy in my own skin. I’d put on a little weight and just wasn’t happy. I knew that I needed to do something instead of ignoring it. So I put a date on it and just STARTED. I went and ran 2 weeks after sinus surgery. It’s just the date I picked so I stuck with it. It wasn’t easy. I didn’t think it would be. But running is what got my motivation up. I saw progress. I lost some weight, I felt better. And it was mostly due to running. (better diet, too of course). And it went on from there. Several races. 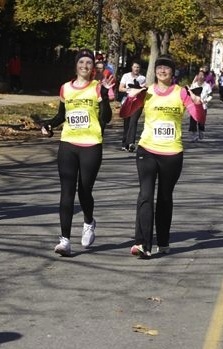 Then a half marathon last November 2011. I was actually enjoying running all throughout the last year. I mixed in some other stuff. Physique 57 & Turbo Fire. Had even better results. Then that half marathon snuck up on me. The training was tough. On my body and my mind. I felt like everything was revolving around running. So the half came and went. And I was officially burned out. Not unusual, I knew. But still, today, January 28, 2 months after the half, I still didn’t feel like running. Just didn’t. So there. I’ve laid it all out there. And I’m a big proponent of laying goals out there. So here’s one. My goal is to get 2 runs in per week. 3 miles each. (ish). I have a 10k I’ve already signed up for that’s in 6 weeks. So I’ll have to get in some longer runs too, but I’ll be happy with the average week at 2 days, 3 miles each. I won’t be changing my schedule otherwise, though. I still have Chalean Extreme 5 days a week, 3 strength training and 2 cardio + yoga. Perfection. But I need those runs back. Who will help hold me accountable? Have you ever gotten burned out doing a particular workout? My hubby, Miguel, Me, Troy and Amy. The dream team. Sorta.